Explore the mighty Richiusa Gorge on this 4-hour canyoning adventure in Corsica. Pull on your harness and helmet, and take a 1-hour walk through the rugged Corsican countryside to the start of the course. On arrival, follow your guide through a series of challenging rope courses and enjoy panoramic views from your high vantage points. During your tour, slide down natural chutes, leap into crystal-clear waters, abseil down sheer rock-faces and enjoy the best of Corsica’s spectacular terrain. 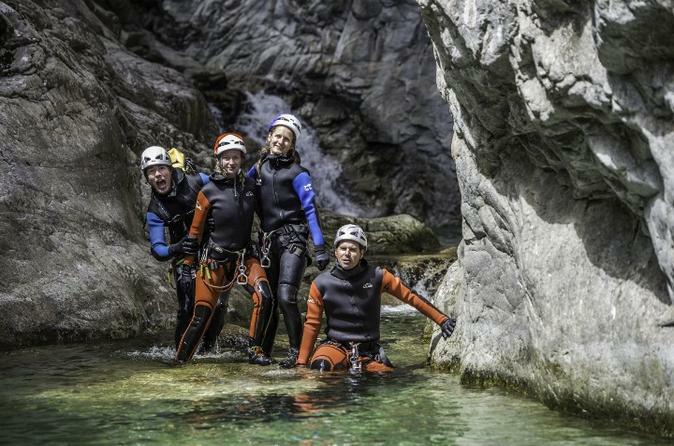 This canyoning adventure is suitable for children aged 10 and over.